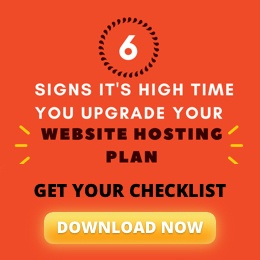 Very few people stick with the same site hosting plan throughout their business’s lifetime. In the same way that a child may outgrow a pair of shoes or a shirt, your business can outgrow a hosting package. If you learn to recognize the early signs that it is time for something bigger and better, you can make the upgrade seamlessly, and with as little downtime as possible. A slow website can be as much of a revenue killer as one that does not work at all — if not more so. This has been well-established. If, during testing, you notice that your site is not responding as quickly as it should (and you have already addressed any potential bottlenecks), this could be a sign that your current hosting plan cannot keep up with your traffic demands. If there is a tool, platform, or service that you need to use, it should go without saying that whatever host you have chosen should support it. This could be software, such as a content management system or eCommerce platform, or hardware, such as a load balancer or dedicated firewall. If your host does not provide you with the functionality you, your clients, and your customers need (and they will not take measures to do so), then it is time for you to part ways. Your host was originally quick to respond to support requests, but lately, they have been lagging behind. Replies are taking progressively longer, and you start to get the vibe that they are struggling to even provide you with a baseline of service. It may be time for a new hosting plan – or maybe even an entirely new host. Have you noticed that you seem to be paying more with each bill? Are you racking up massive bandwidth charges as part of your regular day-to-day? Believe it or not, a hosting plan that is ill-suited for your site’s traffic requirements can actually end up being more expensive than one that provides the necessary resources out the door. You should only have to request additional resources during periods of especially high traffic. If you are constantly making use of your host’s scaling options, that may indicate that what you consider ‘high’ has become the new average. And that in turn indicates that it is time for an upgrade. That may mean shifting to a higher-tier plan with more server resources, or even adding an additional server. Last but not least, there is some indicator that your customer base is about to expand exponentially. Perhaps you signed on with a new business partner, were profiled in a publication such as Forbes, or released a new product to widespread acclaim. Maybe you are about to go through a hiring surge, and open up a new location or two. Either way, your company is about to change — and your hosting plan may need to change with it. You should have a hosting partner that can custom-build a solution for your business when you’re ready for it. There are plenty of hosts out there that cannot keep up with the demands of a growing website, or do not offer anything meaningful in the way of scaling — and if you are with one, it might be time to consider a new provider. Liquid Web is partner you can trust. Contact us today — let’s talk about how we can keep your website functional, and your clients happy.